Every skill is reworked and actives no longer have penalties. New skills have been added to replace old/broken/weird ones. Weapons have been reworked to feel significantly more tactical. The knife is no longer a 1-shot kill, unless you charge it first. Chemicals can be bought from anywhere in the map. Chemicals can be picked up for free at any time. Cosmetics are now unlocked with XP instead of community credits. The default heal has been replaced with a passive regen. The control scheme has changed to become more usable. The skill system has been reworked in a number of ways. The biggest change is the removal of skill penalties from active skills. Over 15 confusing and unintuitve penalties removed in a single version! Replaced with a single, simple, and easy to understand drawback - the mana you use to cast it. Much simpler. There's a new philosophy guiding how the skills behave in this version, and that is "bigger is better" (heh). Previously skills didn't make you more powerful because they had penalties. In some situations these penalties would actually make you weaker. While good for competitive gameplay, this was very unintuitive to new players, and not too fun either. So now skills will always make you stronger. And the more skill points you have, the stronger you become. To do this every skill in the game has been reworked, changed and simplified to make them as inutitive for new players as possible. There are also fun new skills such as X-Ray vision which lets you see through walls. The skill system itself has been streamlined too. For starters, you can now only unlock a maximum of 3 active skills. Before there was no limit, allowing you to get up to 15 active skills, which of course was ridiculously difficult to manage. Now with 3 only there are 3 dedicated hotkeys to use your 3 abilities (right click, C and Z). It feels MUCH easier to cast your skills without having to remember what number cast what ability. But wait, there's more! The skill trees actually do something now, because once you invest into one of the trees you are unable to invest into the others. This forces players to adopt a certain playstyle and is more similar to the hero or class-based combat seen in other games. However if you really want to multi-tree you can, but it will cost you 6 extra skill points to unlock extra trees. There are more changes too, like the ability to invest synergy points every 8 levels (which are now super powerful), and the ability to reset your skill build mid-game to experiment with different options. I've changed how the weapons behave as well. The most important one is that knife no longer kills in 1-shot. Honestly it was silly how powerful the knife was before, but now it only does a mere 35hp damage.. unless you charge it. You can now hold the mouse down to start charging your knife, and only after doing this for 1.5s will you be able to do a full 1-shot stab. This massively nerfs knife in normal combat, but still keeps it interesting for ambushes. Weapons have had some big sweeping changes made to them. For starters, the concepts of damage fadeoff and movement recoil are now removed. Don't know what those are? Don't worry... no one did. That's why they're removed. It wasn't intuitive enough. Weapons now do the same damage at all ranges, making combat a lot more powerful at long distance. Furthermore, weapons will now slow your enemies when you hit them, similar to the tagging system used in CS:GO. This makes combat a lot cleaner and makes cover a lot more important, because if you get hit out in the open you're a sitting duck. The chemical system is great fun if you know how to use it. But it has always been to hard to use. Well no longer. The biggest change here is that you can buy chemcials from anywhere in the map! Just press B and buy whatever chemical you want. This makes it much easier to set up a base and start building in your favorite area, as you no longer need to trek the chemical all the way across the map to place it. Also you can now hold CTRL to pick-up your existing chemicals off the ground for free. There is also a brand new chemical too called "Goo Trap", which will slow enemies as soon as they step inside it, making this the first combat-oritented chemical. The old "community credits" system that I made back in 2010 has finally been removed from the game, and merged into the new and improved XP system. It's super streamlined and means that you can now purchase cosmetic unlocks like capes and lightsabers with XP instead of community credits. This is great news, because everyone has XP and no one even knew how to earn community credits. Combat has been streamlined in other areas as well. There is a big focus on reducing the number of unnecessary key-presses, so you can focus on actually playing the game and not messing about with the keyboard. One way this has been achieved is by removing the default heal that was activated by CTRL. Instead of having to heal yourself during combat, the game will now automatically heal you once you've been out of combat for 4 seconds. Zombies now have a new ranged weapon called Pests, which is a lot more fun to play with than the melee claws. It is no longer possible to buy weapons from the centre of the BR circle, forcing you to loot fully before commiting to the final showdown, as you can't rely on the buy zone anymore. Random weapon around the map have been given random damage buffs as well, making looting a lot more fun as you might pick up a rifle with x1.15 damage. And more. Much more. So much has changed in this version I can't write a full list. So here are the top 10% most interesting changes this version, cause I can't type them all out. Some weapons randomly spawn with x1.20 damage modifiers. You can no longer buy weapons at the centre of the circle. Guns are now much more powerful at range and have no movement recoil. Weapons now slow enemies when you hit them, like tagging in CS:GO. Literally every single skill in the game has been reworked. Active skills no longer have penalties! Just the mana that it takes to cast them. The knife no longer does a 1-shot kill! It only does 35hp damage. However if you hold the mouse for 1.5s it will charge up and become a 1-shot again. Zombies now have a new ranged attack called Pests that behaves a bit like a shotgun. Tier 2 weapons are now significantly more powerful. Phase Shifting now drastically reduces accuracy to avoid abuse in close-quarter combat. You can now buy chemicals from anywhere in the map. You can now pick up chemicals by holding CTRL on-top of them. The default control scheme has been streamlined. There are new chemicals, such as Goo Trap which slows enemies. Cosmetics are now unlocked with XP. The community credit system has been removed from the game. Skill Trees are now restricted to just using just 1 tree at a time, however you can unlock other trees by spending skill points. The default healing ability has been removed from the game, and replaced with a fast auto-regen that kicks in after 4s. You can now only unlock a maximum of 3 active skills, allowing for streamlined skill-casting hotkeys. You can now hold up to 3 grenades at the same time. The HUD has been streamlined to show hotkeys to auto-select your weapons and 3 active skills. The leveling curve has been changed and is now capped at level 20. New skills added such as X-Ray Vision, Parasite Swarm, Ignition Orb, Laser Focus, and more. Late game upgrades have been removed from the game. Picking up ammo now gives ammo to all weapons, not just your currently held one. You can now reset your skill build in-game by holding ALT and clicking on a new "Reset" button. 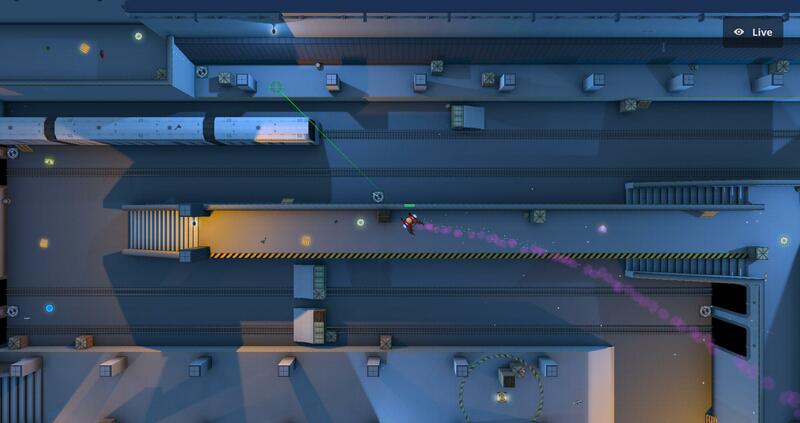 Bots have been made smarter, upgrading their weapons, using the shop and exploring the map better. Conquest mode now progresses by getting kills rather than earning cash. Tier1 weapons are now given for free in non-BR game modes. Reworked the cash rate in non-BR game modes to match up with how BR works and prevent exploits. Fixed countless bugs and exploits. 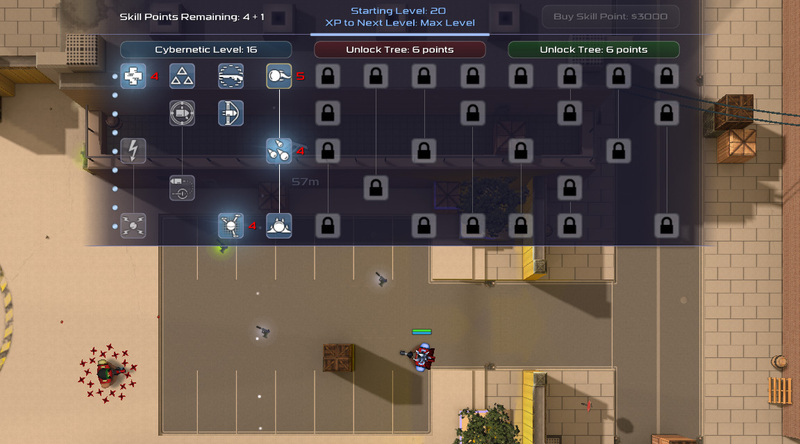 Skills now go up to level 4 instead of level 3, with +1 synergy earned for every 8 levels in the tree. Ok that's it! Oh also, there is a special flaming hot easter egg in the game available only for today. Enjoy!